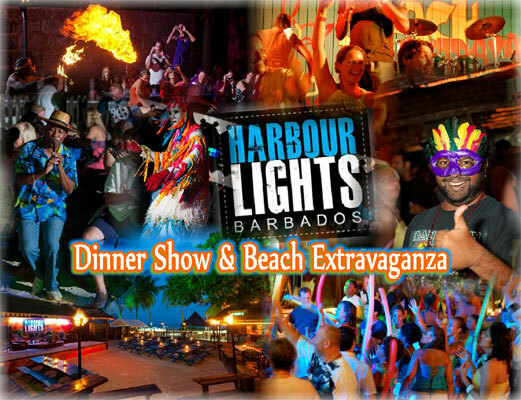 Barbados Activities - Things to DO in Barbados | FunBarbados.com Fun Barbados Activities - Things to DO while in Barbados. arbados is a fun dynamic island with plenty to keep you busy no matter how long your stay. Whether you're looking for lazy days on tranquil sun-drenched beaches, while sipping a tropical cocktail, or an exciting and adventurous day enjoying our many water-sports and beach activities, Barbados caters to all your needs. Enjoy the shimmering, crystal clear waters on a pleasure, walk the plank on a pirate voyage or explore the exotic marine life on a snorkeling trip, a submersible or diving expedition. Thrill seekers may prefer a rugged out back or safari tour exploring the gullies and hidden treasures by horseback, ATV, hiking, Segway, Zipline or the very popular 4x4 tours. Create your own adventure, hire a mini-moke, arm your self with a map and drive off into the sunset. Wander through meandering hills and swaying cane arrows. A stop at one of the many local rum shops that dot the countryside is a must do. If you are thinking of visiting the island during the summer months, Barbados invites you to be part of its premier event the "Crop Over Festival". This celebration showcases Barbadian culture through folk, art & craft, music & dance, masquerading & revelry. You are especially invited to the various Calypso Tents and to participate in the masquerading activities and parades, by signing up for one of the amazing costumes from the many "Kadooment Bands" taking part in the huge street carnival, which brings the festival to an explosive and colourful climax. When the sun sets and the beaches clear, the clubs and night zones spring into life with the island's pulsating exciting rhythms. Barbados by night is lively. 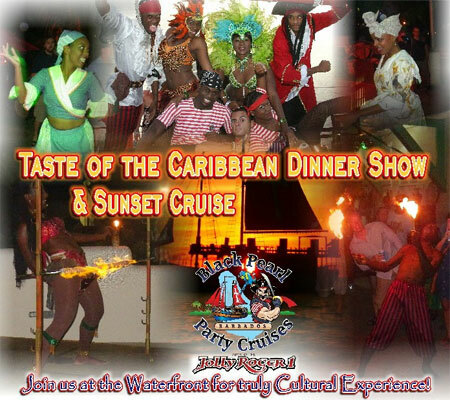 Enjoy an early evening with one of the island's spectacular and colourful Dinner Shows like the Harbour Lights Dinnershow & Beach Extravaganza, or maybe a sunset cruise with the Jolly Roger "Taste Of the Caribbean" Sunset Cruise & Dinnershow under romantic starry skies. For a truly local experience: fresh cooked fish, lively music, great atmosphere, visit Oistins a fishing town on the South Coast of the island, for the Oistins Weekend Fish Fry. Bars, pubs, sports bars, jazz clubs, floorshows, theatre, drive- in- cinema are but a few of the choices of night life activities on this very diverse island. If it's vibrant late night action you want, we have some of the best bands in the Caribbean. You can dance your way into the wee hours to our exotic Caribbean rhythms at reggae clubs, nightclubs, latin parties or beach bars. There are even 24 hours a day bars for those of you who just can't get enough. The cooling trade-winds and the star filled skies promise you a truly tropical experience.